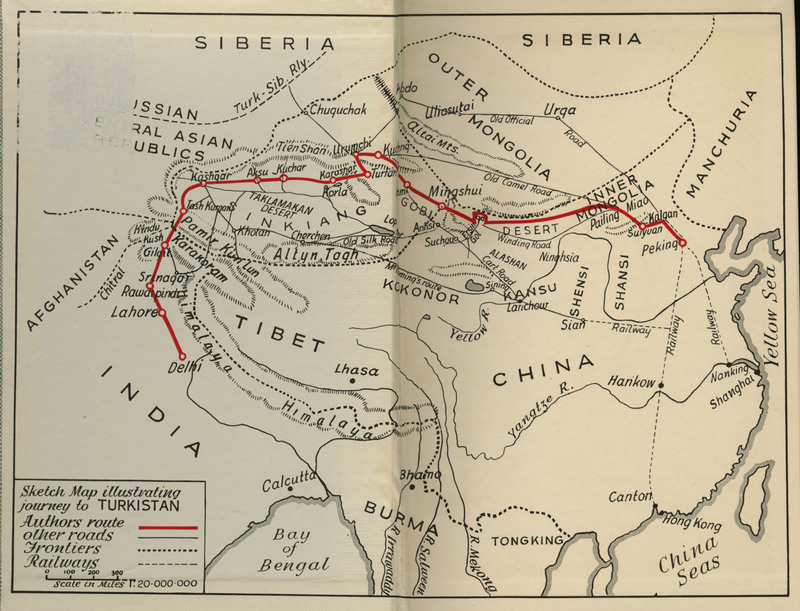 This map, which can be found in an appendix to Journey to Turkistan (1937), illustrates the British Consul Eric Teichman’s travel route from Beijing to Delhi in 1935. 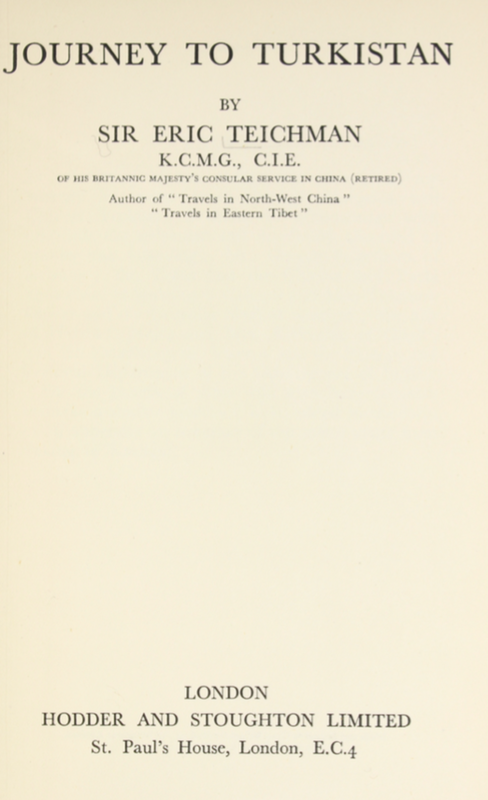 It is a complementary document to the author’s account of his journey back to Great Britain, through Eastern Turkestan and India after having served as the British Consul in Beijing. Teichman travels from Beijing to Suiyuan by train, after which he crosses Inner and Outer Mongolia and the Gobi desert on a motor truck to Kashgar. A second map illustrating this journey can also be found in another appendix to the same book. Teichman then travels through the Pamir and the Karakoram mountains, to Gilgit on horseback and on foot, before he takes a plane to Delhi. While encompassing most of Asia, areas around Teichman’s travel route are shown in greater detail than other areas on this pencil sketched map, where we find such cities as Turfan, Urumchi, Karashar, Aksu, Kashgar and Gilgit. Deserts are noted, as well as frontiers, railways and roads.